Settle yourself into some brilliant reads from this week. “So when the Senegal team arrived at the brand new stadium in Seoul, they did not need to say a word. “When we went to the stadium, everyone was really relaxed. The silence before the war. From lunch-time, people would only be talking with the eyes. We had that belief, we knew there was a job to be done, and we were going to win the game. Salif Diao recounts Senegal’s incredible World Cup campaign in 2002 to Jack Pitt-Brooke of the Independent. 2. Somehow, Josef survived. The story goes he was buried under a building by an explosion that finished off his platoon. He survived because he was fit from playing football. And also because of kindness from Russians. My grandfather was taken to a military hospital, where he was treated and eventually recovered. The Guardian’s Barney Ronay writes about his grandfather fought with the German army in the second world war, which led to him getting captured by Russian soldiers. 3. “If you don’t like the way I play, that’s fine. But I was born here. I grew up in Antwerp, and Liège and Brussels. I dreamed of playing for Anderlecht. I dreamed of being Vincent Kompany. I’ll start a sentence in French and finish it in Dutch, and I’ll throw in some Spanish or Portuguese or Lingala, depending on what neighborhood we’re in. “I’m Belgian. We’re all Belgian. That’s what makes this country cool, right? “I don’t know why some people in my own country want to see me fail. I really don’t. When I went to Chelsea and I wasn’t playing, I heard them laughing at me. When I got loaned out to West Brom, I heard them laughing at me. 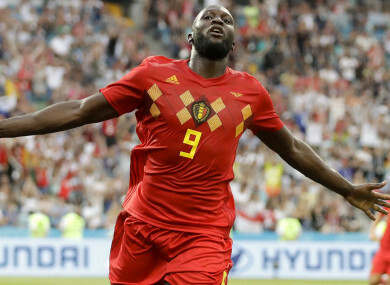 Man United and Belgium star Romelu Lukaku gives an incredibly honest account of his journey through football in The Players’ Tribune. The New Yorker’s Vinson Cunningham meets ESPN’s ‘First Take’ star Stephen A. Smith. 5. “Now, reporters call James the model of a press-savvy and press-friendly megastar. “When you get those golden moments, he is the most engaging interview subject you could ever find in the sports world,” Windhorst said. The Ringer’s Bryan Curtis explores how Le Bron James’ relationship with the media has changed over the years. Email “How Senegal stunned France at the 2002 World Cup and more of the week's best sportswriting ”. Feedback on “How Senegal stunned France at the 2002 World Cup and more of the week's best sportswriting ”.